As "Revisionist" true believers continue to exchange BS on the thread Muehlenkamp accepts nafcash's challenge of the CODOH Cesspit, we are treated to the entertaining spectacle of a confrontation between one of the more intelligent "Revisionists", a fellow who calls himself Laurentz Dahl, and primitive chimp Greg Gerdes. If I may voice a criticism of the "reduced NAFCASH challenge" it is that there are doubtless human remains in the soil at the Reinhardt camps. In the light of the transit camp seems more than likely that several thousand Jewish deportees died en route (given that more than 1.5 million Jews were channeled through) or in the camps (from disease, shot during revolts and escape attempts etc. ), that they were buried at the site and likely also cremated. For example we know of the catastrophic Kolomea transport to Belzec during which around 2,000 Jews perished. Similar incidents, if perhaps not as grave, may have occured at numerous other times - the documentation is very scarce. The cremated remains of even 5,000 people, mingled with wood ashes, can take up quite a lot of space and would thus be easy to find. Dahl is obviously arguing that the presence of an amount of human remains sufficient to meet the requirements of the NAFCASH challenge in the soil of either of the camps Belzec, Sobibor and Treblinka might still be compatible with the "Revisionist" theory that more than 1.5 million Jews were "channeled through" these camps en route to the occupied territories of the Soviet Union, and that such amount of human remains would be easy to find. Like many a "Revisionist" argument, this argument of Dahl’s suffers from grievous fallacies, the biggest of which is the utter lack of evidence suggesting that any Jews were "channeled through" Belzec, Sobibor or Treblinka en route to destinations in the occupied territories of the Soviet Union. While documentation about specific transports to either of these camps is scarce indeed, documentation that allows for establishing the number of deportees to either camp is not, and documentation about transports from Belzec, Sobibor or Treblinka to destinations further east is non-existing – even though so large a resettlement operation should have left behind a huge paper trail, both in transport documentation and in documentation from German authorities in the occupied Soviet territories, which the Nazis would have had no reason to destroy and should therefore be available in abundance. Besides abundant documentary records, the transportation of ca. 1.5 million Jews via these camps to Minsk, Riga or other destinations in the occupied Soviet territories should have left historical research with thousands upon thousands of eyewitnesses, from among the German authorities in charge of transportation and resettlement, the local population of the destination areas in Nazi-occupied Soviet territory and, especially, from among the deportees themselves. Yet there is not one such document, and not one such witness. None of the German participants in Aktion Reinhard(t) later on trial before West German courts even claimed that such documents or witnesses existed or that Jews deported to Belzec, Sobibor or Treblinka had been moved anywhere further east from these places. On the contrary, all former SS-men accused of having participated in the mass killing at these camps concurred with the eyewitnesses from the ranks of the former inmates in that these camps had been extermination camps, even providing detailed descriptions of the mass killing and body disposal process at these camps. 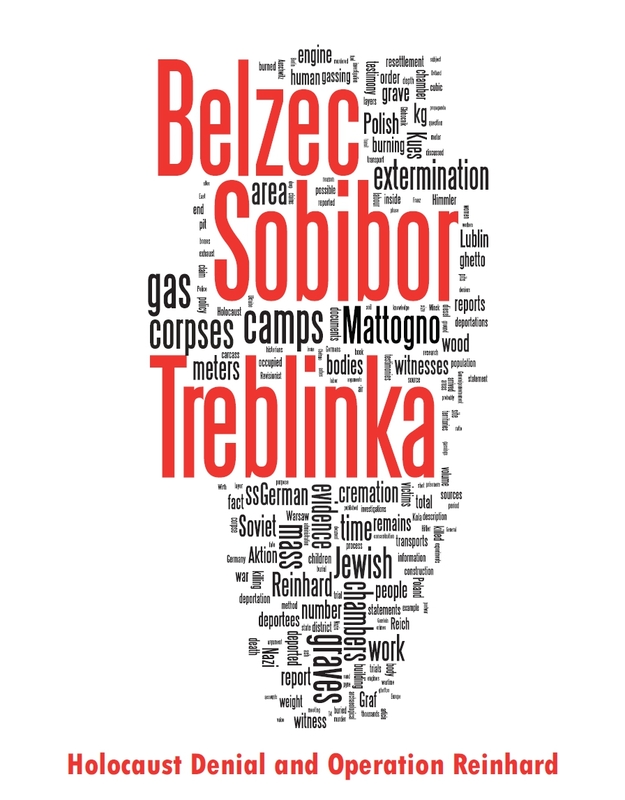 What documents regarding a specific camp or transportations thereto have been found (like the documents mentioned in Prof. Browning’s expert opinion Evidence for the Implementation of the Final Solution and in Stephen Potyondi’s THHP article Final Destination Treblinka) shows that Belzec, Sobibor and Treblinka were final destinations for the people taken there, not transit stations en route to somewhere further east, and corroborate the descriptions of these camps as places dedicated to mass murder that have been provided by many eyewitnesses – be it from among surviving camp inmates, members of the SS-staff, German visitors or outside observers, Ukrainian guards or local Polish civilians – on different occasions and independently of each other. This means that the "transit camp" theory entertained by Dahl and other "Revisionist" true believers is a mere fantasy, at odds with all known evidence and based on hollow speculations and conspiracy theories alone. Another fallacy in Dahl’s reasoning is the assumption that the remains of a couple of thousand deportees who died "from disease" or were "shot during revolts and escape attempts etc." would have been cremated. In what labor camp, or in what actual transit camp in the occupied Polish or Soviet territories (there were such transit camps, e.g. the Durchgangslager for Soviet prisoners of war), are the Nazis known to have gone through the trouble of cremating the bodies of those who died or were killed there, instead of simply dumping them into mass graves? 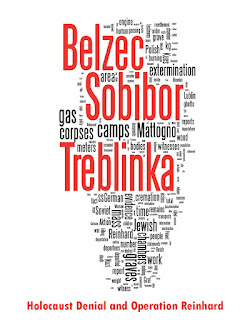 The at least several thousand victims of the Treblinka I labor camp, for instance, were not handled by cremation but buried in mass graves (which moreover were not very deep, whereas Polish investigations on the area of the Treblinka II extermination camp, discussed in my article Polish investigations of the Treblinka killing site were a complete failure …, suggest that the burial pits in that camp were at least 7.5 meters deep). Are we asked to believe that a similar number of victims in an adjacent "transit camp" would have been cremated and not simply buried as well? The third fallacy in Dahl’s reasoning is his assumoption that "The cremated remains of even 5,000 people, mingled with wood ashes, can take up quite a lot of space and would thus be easy to find.". Applied to 5,000 dead bodies, the calculations in section 4.5 of my article Carlo Mattogno on Belzec Archaeological Research tell us that these 5,000 dead bodies, weighing a total of ca. 175,000 kg, would leave behind 8,750 kg = 8.75 tons or 17.5 cubic meters of ash. The maximum amount of wood ash, assuming 2 kg of wood per kg of body mass, would be 28 tons or 82.35 cubic meters. The total space occupied by human cremains and wood ash would thus be 17.5 + 82.35 = 99.85 cubic meters. The total volume of the mass graves found by Prof. Kola at Belzec during archaeological investigations in 1997-1999 was estimated at 21,310 cubic meters, which means that the 99.85 cubic meters of human and wood ashes corresponding to Dahl’s 5,000 dead bodies would occupy a mere 0.47 % of the volume of the Belzec mass graves estimated by Prof. Kola. The idiocy of assuming that the Nazis would excavate 21,310 cubic meters of grave space for a mere 99.85 cubic meters of human and wood ashes aside, finding 99.85 cubic meters of human and wood ashes in 21,310 cubic meters of grave space must be just slightly less difficult than finding a needle in a haystack. And that’s assuming one has already identified the soil disturbances signaling mass graves in the area subject to archaeological examination. 1. "Show me all I’m yelling for, with photographs, right here and now!" 2. "If you can’t show me all I’m yelling for, with photographs, right here and now, this means that what I’m yelling for doesn’t exist and the whole thing is a hoax." One can probably expect a less primitive line of argumentation from a five-year old. Mmmmmm, that's odd, there doesn't seem to be any photos of said "huge mass graves!" Must just be a slight oversight that will be corrected any day now I'm sure. If you were Andrzej Kola or Yoram Haimi, and the "huge mass graves" allegedly found at Sobibor are not a hoax, just how long would it take you to send off to "SKEPTIC" magazine all the proof in the world needed to become an applicant for THE FINAL SOLUTION FORENSIC CHALLENGE reward? And notice Haimi's begging for money! LOL!!! If he needed money so bad, and the "huge mass graves" actually exist, then what is he waiting for? The chimp obviously thinks that the people of the Sobibor Archaeology Project and the "Friends of Sobibor Remembrance" association share his obsession with mass graves and the contents of mass graves, and that they would necessarily parade photographs of both on their websites, notwithstanding the religiously motivated complaints about desecration of the dead that such photographs would expose them to. And he also seems to think that archaeologists have nothing better to do than publish evidence in order to meet the requirements of the "challenge" launched by the so-called "National Association of Forensic Criminologists, Archeologists, Skeptics and Historians" (NAFCASH). For that, they would not only have to overcome considerations of human dignity that make a "show me human remains and you’ll get money" – challenge a singularly disgusting undertaking, but also need to be gullible enough not to see through the transparent hoax that this challenge is: not only is a potential applicant limited to one single source of publication (meaning that the chance of becoming an applicant to the reward, independently of what evidence one has got to show, depends on whether or not SKEPTIC magazine is interested in publishing such evidence), he will also – as I have pointed out in my discussion with Gerdes on the VNN thread Archeological Investigations of Treblinka – probably have to obtain a decision from a court of law certifying that the evidence he submitted to NAFCASH, after publishing it in SKEPTIC magazine has made him "eligible", objectively meets the requirements of the NAFCASH challenge and he is thus entitled to the reward (or does anyone expect a mendacious slime-ball-player like Gerdes to acknowledge that his challenge requirements have been met, no matter what evidence he is shown?). And once the applicant has obtained such award from a court of law, he will have to run after each supporter of the NAFCASH challenge (there are 21 of them including Gerdes, according to the same) for the share of the reward amount to which each supporter has committed (unless one is so trusting as to believe that these characterless bigots will pay voluntarily). Gerdes’ mouthing-off against the above-mentioned entities may turn out to be a shot in the foot, however. I can imagine members of the Sobibor Archaeology Project or the "Friends of Sobibor Remembrance" association getting angry enough, upon reading Gerdes' crap, to decide that it's time to teach the bigmouth a lesson and publish evidence meeting the NAFCASH challenge requirements just in order to humiliate the fellow, independently of whether or not they can realistically expect payment of the reward amount. All the more so as Gerdes’ stance is echoed by another "Revisionist" clown, an obnoxious and cowardly Swede who calls himself "Malle" (see the RODOH thread Invitation to Mr. "Malle" ...) , in his post Mon Jul 28, 2008 6:36 on the same thread. (Mr. "Malle" seems to be very proud, by the way, of a laughable attempt by Tom Moran, arguably one of the dumbest creatures in "Revisionist" cloud-cuckoo-land even with Gerdes as competition, to tackle Prof. Kola’s inconvenient findings at Belzec in 1997-1999. A far more intelligent and sophisticated attempt in the same sense by "Revisionist" guru Carlo Mattogno was shredded in my blog article Carlo Mattogno on Belzec Archaeological Research. Moran’s crap had been taken care of before that by Sergey Romanov, IIRC – I’ll see if I can find the respective thread or article). Do we know about the veracity of the Kolomea 2,000 other than an alleged report from Josef Jacklein? There is a highly dubious statement by a 'Westermann' which is completely unsubstantiated and appears to have been coerced or manufactured to fit the general storyline. IOW, are there original German documents to view? As I have just been informed by Jonathan Harrison, who checked Hilberg’s The Destruction of the European Jews (p.518, n.63), there are FOUR documents describing the transport from Kolomea to Belzec. Westermann wrote two reports (Browning and Mattogno seem to be in error by only citing one) and there was a report by Brenner, commander of 6th company, which was assigned to Westermann's 7th company for the round-up in Kolomea. Hargis has thus once more shown what an ignorant buffoon he is. Hargis apparently has not even read the Belzec book written by "Revisionist" guru Carlo Mattogno, who not only is too smart to refrain from baseless speculations about coercion or document manipulation, but also tries to use Jäcklein’s report and one of Westermann’s reports (the name is incorrectly spelled as "Wassermann" in Mattogno’s book) to the advantage of "Revisionist" articles of faith, by arguing that this transport was an isolated case and the horrors of the journey from Kolomea were the result of bad organization, while invoking the fact that Jews too old or sick to be transported were shot on the spot as an indication against the transport's destination being an extermination camp. I have taken care of these contentions in part 5 of my article Carlo Mattogno on Belzec Archaeological Research. Wow, all Dahl said was that perhaps as many as 5000 Jews may have died at Belzec (but not from gassing), and Gerdes starts with the "come on Laurentz, show me just one mass grave. JUST ONE" on him.